On reddit post another user mentioned the same issue with a surface pro m3 which has the same chipset. Other users mentioned similar behavior but in those instances they just needed to specify the system use their Nvidia GPUs instead of onboard graphics which unfortunately is not on option on m3 systems. Is this an issue with intel graphics in general or is there a simple fix I'm missing? I got a surface book, first model, come with both intel and nvidia gpu. I think its a intel 620 i got in it, and i tried it a bit with it, was way slower, but was working.Perhaps the 615 is slower and it might not run dont know, but my intel card was working. Before the crash the loading screen text box begins to animate very slowly so that's a possibility. Curious if this will eventually be optimized for intel as their regular table loads without crashing and plays smoothly. I've noticed a dramatic performance drop on FX3 running on an Intel GPU. Now the Williams public beta has concluded I've reverted to the main branch but the frame rate is absolutely horrendous. Since launch there has been a handful of problematic tables (Jaws/Pasha/Dr Strange) but now they all appear to be affected. Those which used to average 60fps are now well below 25fps and completely unplayable - One of the worst offenders is Excalibur which now runs at 17fps. I've tried several fixes but nothing appears to make any difference, e.g. Roll back & clean install graphics drivers / Verify file integrity / delete FX3 profiles and settings / re-install dependencies (Visual Studio and DirectX). It's difficult to pinpoint exactly when the performance dropped off a cliff (admittedly I've spent a lot of time playing Bally Williams tables on TPA recently) but my suspicion is sometime between July and September. There are no apparent issues with other games so I'm convinced something has changed in FX3, has anyone else noticed this decline? Last edited by MBeeching; 09-25-2018 at 12:26 PM. After a lot of messing around I've finally cracked this performance issue (knew I wasn't imagining things). It's caused by a Windows 10 Security feature which protects against malicious code. 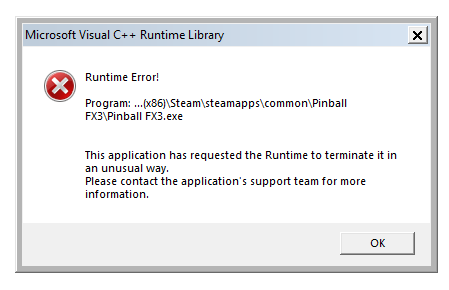 When this Core Isolation feature is enabled on my laptop (i5-6200u / Intel HD 520) it absolutely ruins the frame rate on Pinball FX3. Using my previous example, the FPS on Excalibur drops from 50fps to 17fps. This feature is currently optional for existing Windows 10 users but apparently enabled by default for new installations. I'm really puzzled as it doesn't appear to cause performance and frame rate issues with other applications or games (e.g. FX2/TPA/Rocket League). Is this perhaps worth investigating further? If a programming issue can be ruled out I'll try pursuing it with Intel. Last edited by MBeeching; 10-02-2018 at 04:13 AM.